Running Order and Set List for the Royal Albert Hall Concert. First to play were The Yardbirds, followed by The Troggs. After the Interval The Spencer Davis Group closed the show. 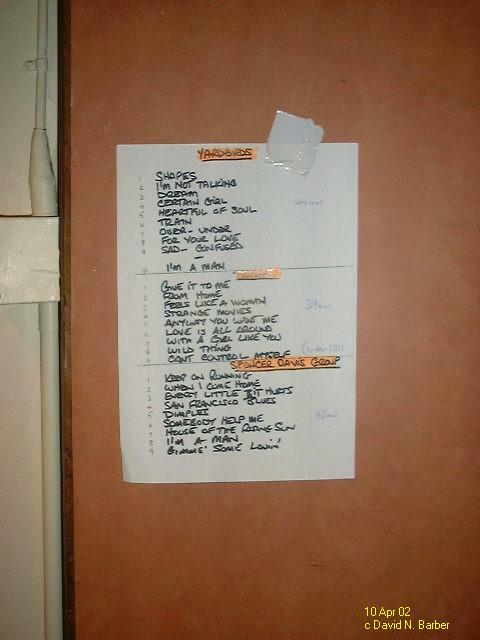 This list was gaffer taped to the wall at the rear of the stage.